“You are like a guardian angel for pets, ensuring that they cross over safely.” -L.K. “Your gifs of compassion and calm during a very difficult time will never be forgotten” – D.R. and J.P.
“Thanks again for fulfilling the ultra important job of helping all of us smitten with the life of an animal friend to take that final step of trust and love.” -K.P. “Thank you for all you have done for our beloved companions and for us. It has been a really hard couple of years having so many elderly pets at once. Knowing that there is a kind and compassionate person who can assist when it is time to make these agonizing decisions makes a huge difference. You are a very special person and the world is blessed to have you in it…. Please know that there is no one else that I would trust as much as you to make it as peaceful as possible.” – M. L.
“You entered our lives at a moment of crisis, but fit in like a family member. Thank you for your professional care, compassion, and calming demeanor – you made a difficult transition manageable, while allowing us the room to grieve.” -W.R.
“You were extraordinary. It was the most peaceful, dignified process we could have ever imagined for Snickers.” -P.G. “Thank you for what you do! Letting Foster be laid to rest in our backyard was the best passing he could possibly have had. It’s an absolute gift you provide.” -L.L. “I can only hope that people read this and make a choice to have this wonderful Dr bring to them the peace he brought me.” – N.N. “My sincere thanks to you for the exceptional care you gave to R___. Your immediate response to her last day was greatly appreciated. It warms my heart to know how much you cared for her and responded to her family making their decision and grief a little easier.” -R.R. “I wanted to send you a special thank you for taking such good care of my girls. They were loved very much and it was very hard for me to let go. But you made it easier and I want to thank you for that. You are a very caring person.” –D.W. “Thank you for coming to the house and putting our cat, S___, down. You serve a needed service with compassion.” -L.M. “Thank you so very much for your utmost compassion and caring in H___’s final days. 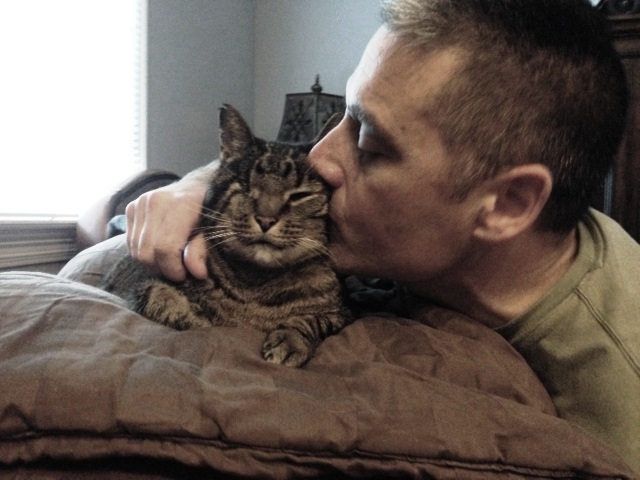 I am extremely grateful that you fulfilled my wish of having H___ put to sleep at his home, on his couch, with me. After so many years with my boy, I wanted him to go without fear and in total comfort.” –J.M. Thank you, Steve Caporizzo’s Pet Connection, for such kind words about my services on Facebook. Read our reviews on Google. | Read our reviews on Facebook.